Creating engaging and meaningful content, and doing so consistently, isn’t always as easy as it sounds. We’ve been in the email marketing business for quite some time, and have published a lot of content along the way, so we know as well as you how frustrating getting stuck coming up with new content can sometimes be. To some, this is a given while others aren’t so sure of the practice. Repurposing old or archived content is taking something you have previously posted and offering a new twist or a modern spin on it. Can you relate it to something happening today? Are there new tools or resources available you can use to update the information? Maybe you wrote individual posts that would be great grouped together for a monthly theme? You can even begin a greatest hits or oldie but goodie themed post once a month where you repost the content and add an updated introductory and closing paragraph to the text. If your concern is readers noticing repeated content, know that when we say old or archived posts, we’re reaching back at least 8-12 months. Think of how many new subscribers have joined your list since then! Additionally, a good open rate is 20%, which means only 1/5th of your readers see any given piece. There has also been a lot of new content added to your site. Should a subscriber receive the content a second time, they will most likely not remember its initial posting. *Spoiler Alert: This is exactly what we are doing in this post right now. Check out the title again, How Not to Get Stuck Creating New Content. See what we did there? Instead of telling your readers what they should be doing, try telling them what they should NOT be doing. A bit of reverse-psychology at it’s best, you are luring readers in by helping them avoid something negative. This post could have easily been titled Content Generation Ideas or How to Create Even More Great Content, yet we chose to re-frame it in telling you how not to find yourself in a very familiar (or annoyingly frustrating) position. It’s a small tweak but can easily grab your reader’s attention as you are offering great value in avoiding a common pain. Another idea in this category is to share how you have failed at something. This is a big step for many publishers as it can be tough to admit our wrong-doings or failures, however, it not only offers a sense of humility on your part, but it connects with your readers as well. You are providing valuable insight and education to your readers by offering the opportunity of learning from your mistakes. This can save them both time and money, while it further establishes you as an expert resource in your field. That is a win-win in one blog post! A not-so-hidden gem for creating new content can be found sitting in your support queue or Frequently Asked Questions page on your website. A good portion of our content is based on questions we receive from our publishers. This method alone is the inspiration and motivation for our weekly Quick Tips blog posts. Is there something you could explain in a different way or highlight the answer in a new or updated post? How about a common question you notice frequently coming into your support channel? Not only will using these questions provide topics for new content, but the content provides a quick, easy answer for your readers to find on your site as well. Our Support Team often replies to reader questions with links to specific posts offering step-by-step directions, screenshots, videos and more to assist in their responses. If you are new to this practice, it is also a great way to begin training your clients and subscribers to check your site for answers before opening a support ticket. And there you have it! Add these three tips to your arsenal and you’ll find yourself in a better place to avoid getting stuck when it comes to creating new content. It’s not fail-proof, however, it’s helped us here at FeedBlitz HQ when we’ve needed it! And besides, one of these ideas got you reading this post, now didn’t it? We practice what we preach. Now get to writing! 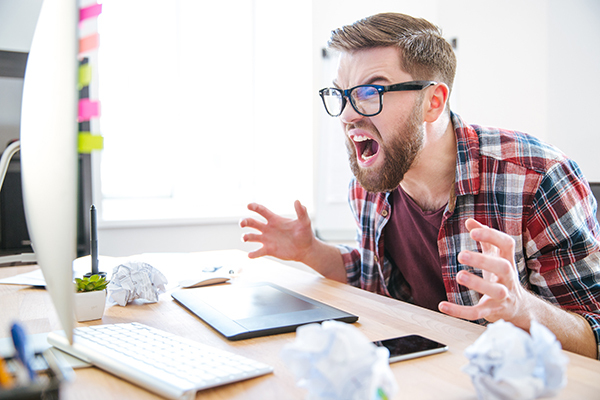 Stuck in a rut with your content? Send our team an email to support@feedblitz.com. We’ll take a look at your site and content and offer a few ideas to help keep you moving forward! You can also chat, check out our Help Forum, or give us a call at 1.877.692.5489. Our Support and Sales Desk is available Monday – Friday from 9 am to 5 pm EST.